When Donna Lowndes and her husband decided to remodel their kitchen, they learned about what to expect before beginning the project. Data from the latest Leading Indicator of Remodeling Activity report by the Remodeling Futures Program at the Joint Center for Housing Studies of Harvard University showed a climb in home improvement and repair spending, with a projected 8.6 percent increase by the end of 2016 and a heightened 9.7 percent rise by the first quarter of 2017. In fact, according to the report, 35 percent of the nation’s homeowners would rather move than remodel their present home. Of those that do remodel, however, 74 percent find they want to spend more time at home afterward, with more than a third of homeowners finding better functionality and livability as the most important aspects of a remodel, and 15 percent saying the new work added more of their own personality into their residence. In all, the report said, 28 percent of homeowners had the work done by a professional, 38 percent did the work themselves, 20 percent bought needed materials but hired labor, and 13 percent did some of the work. 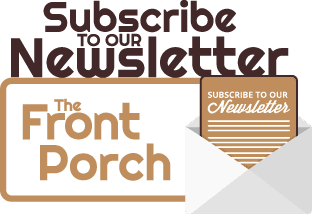 The Lowndes attended a seminar on the home remodeling process given by DBS Remodel, a full-service, design-build in Poughkeepsie, then hired the company to do the job, which included remodeling and expanding their kitchen plus adding a screened-in porch. 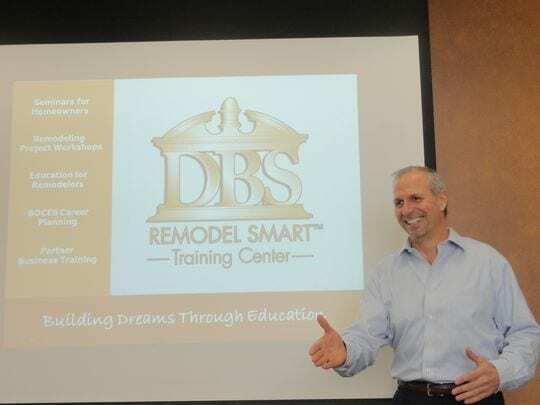 “They want their clients to be informed so later on you can avoid problems,” said Donna Lowndes, with the couple meeting with DBS Remodel’s president, Brian Altmann, several times before the project’s start. Altmann said whether a homeowner spends hundreds or thousands of dollars on a remodeling project, that person should know what he’s purchasing. “The most important thing is we teach homeowners to make sure that they really understand what they’re buying before they sign a contract,” he said. Also important, he said, are workmanship, work ethic and finding a remodeler that matches a homeowner’s ideas. Besides that people should be weary of rough estimates since those given without a comprehensive evaluation of the project don’t normally reflect its true cost. “The advice that I give someone is to find a remodeler that matches your ideas then purchase as much as you’re comfortable,” Altmann said. Unlike buying tangible goods, like an automobile, for example, where a person can see the vehicle he’s interested in and even test it on the road, when it comes to remodeling, homeowners have to rely on drawings of what the finished product will look like, a job scope that outlines precisely what is and isn’t included in the project, and background research on the company, including testimonials from clients, subcontractors and business that have worked with the remodeler. Altmann said kitchens and bathrooms remain the most prevalent home remodeling projects, with home additions now making a comeback from the recent economic downturn when they were less popular. “I’ve learned that there are many people in this area that have the money to remodel but do not because they don’t know where to start,” Altmann said. • Before work begins, ask your remodeler what inconveniences to expect while the project is underway and plan for them accordingly. • Be sure your contractor is aware of vacations or special events so the job-site time can be scheduled appropriately. • Consider moving personal property from construction areas and keep all work zones off-limits to children and pets. • Have your remodeling contractor create a written change order if your remodeling project is modified while work is being done, with both parties signing the amendment. • Keep a job file, including the contract, plans, specifications, invoices, change orders and all correspondence with the contractor. • Request a contractor’s Affidavit of Final Release be provided to you at the time you make final payment and a final waiver of mechanic’s lien as an assurance that you won’t be liable for any third-party claims for nonpayment of materials or subcontractors. • Remember, keep the lines of communication open between you and the remodeling contractor and the work crew. Originally published on PoughkeepsieJournal.com. Click here to view. 5 things to consider when replacing your kitchen cabinets →← Spring is finally here, in the Hudson Valley!